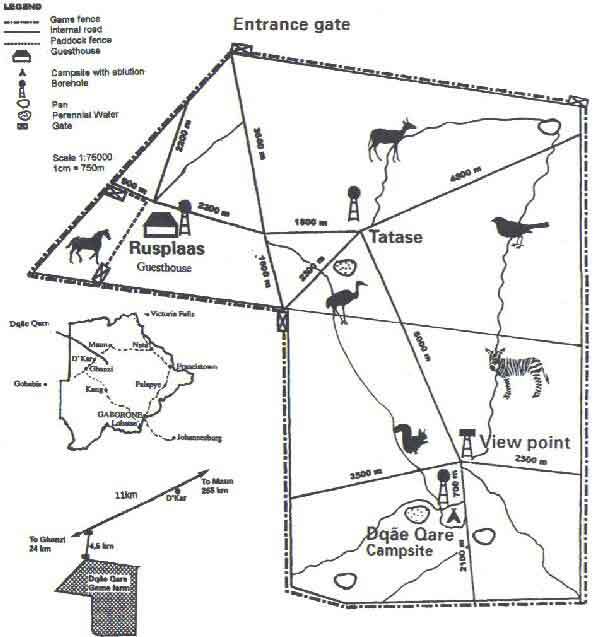 Dqãe Qare Game Reserve (7500 ha) is situated in the Kalahari Desert approximately 24 km from Ghanzi, Botswana and is a community-based tourism project of the Bushmen (Ncoakhoe - meaning Red People) from D'Kar Village. Dqãe Qare Game Reserve is owned by the people of D'Kar. The aim of the project is to create employment, preserve the Ncoakhoe indigenous knowledge through tourism activities and to generate income. The D'kar community is governed by the D'kar Trust which falls under the umbrella of the Kuru Development Trust, which looks after the interests of various Bushmen communities in Botswana. The Kuru Development Trust is an organisation in Botswana dedicated to alleviating the problems encountered by the Bushmen communities spread across the country. In 1993 the trust asked the Dutch Government (DGIS) and the Netherlands Development Organisation (SNV) to purchase the farm Dqãe Qare for the Bushmen community living of the village of D'kar. Over the years the farm has been developed as an eco-tourism project for this community and is now a well-stocked game reserve offering a wide variety of activities all linked to the indigenous knowledge and culture of the Bushmen. 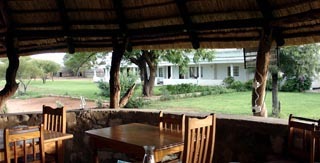 Dqãe Qare Game Reserve offers a variety of accommodation to suit all needs. The original farm house has been converted to offer comfortable accommodation consisting of four en-suite rooms (candle light only) and three rooms with electricity when generator is on. 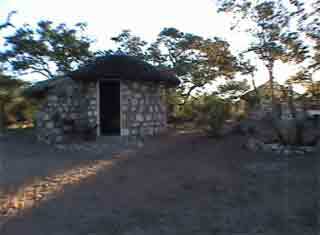 The four Bushman huts have proved to be popular with guests. 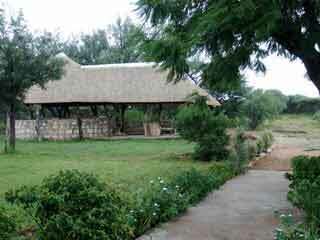 The Bush Lodge, situated 10 km from the Guest House, consists of two rondavels, dinning deck and an open air kitchen. 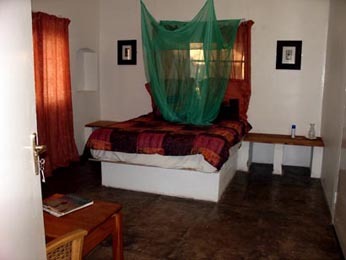 These facilities can be used as self-catering or fully-catered units. For those seeking the rougher experience of Kalahari camping there are two camp sites on the Reserve. One is near the guest house and the other is in a remote corner of the Reserve near a permanent pan. Both campsites offer ablution facilities with hot water, even in mid-winter.